Tickets are good for both days, permitting admission to each garden once. Children under 12 are free. 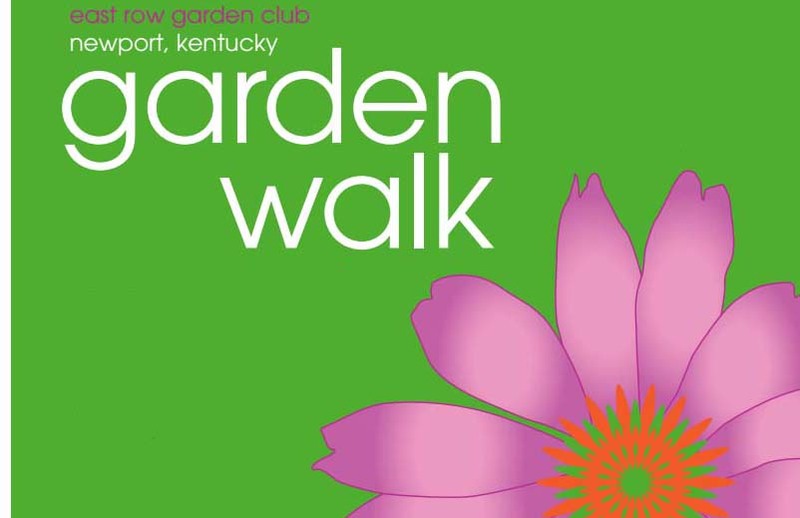 The 22nd Annual Newport, Kentucky Garden Walk, presented by The East Row Garden Club. Eight selected private gardens open for your enjoyment, plus a lovely relaxation station garden. Greg's Antiques, Jaime's Art Pottery, Artful Endeavors by Christina Gault, Earthy Hodgepodge, Just Peachy - Emma Paolucci handmade jewelry, Tastee Tees, Windows by Wes, and Braxton Brewing Co.